Hi Everyone! Happy Wednesday. I have a fun new card to share with you today.. 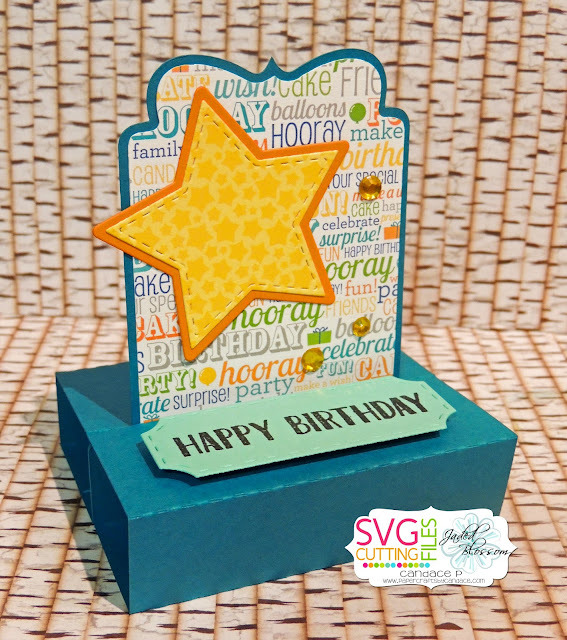 This new card base "Ornate Sliding Pop Up Card" will be in the store Friday! Here is what I created with it.. So many different fun themes can be used with this card! I just made a Clean and Simple birthday card for a friend. I used star dies from Jaded Blossom along with the ticket book die and So Many Birthdays 2. Thanks so much for checking out my project today! Make sure to head over to SVG Cutting Files and purchase the file on friday! This is cute-- love this new cut!